This piece of Paradise could be yours! 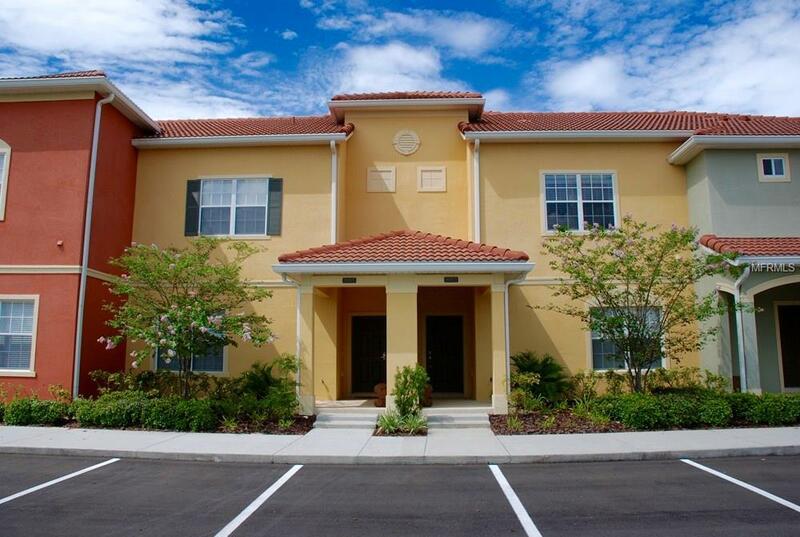 Amazing 4 bedroom 3 bathroom professional fully furnished luxury town home with heated pool. No expense has been spared to make this home a fine example of how good a vacation home can be and it is even one of the closest to the clubhouse. Granite countertops in the Kitchen and master bathrooms, Maple Wood Cabinets, 18" tile throughout the first floor and stainless steel appliances. This home is ideal for a luxury vacation home or investment rental property. Paradise Palms is one of the most popular rental locations in the Disney Orlando area. Only a short stroll from the home to world class pool and lots of amenities! featuring a Tiki Bar & Grill, waterfall resort style pool with a grotto/spa and a pool slide. A separate pool, movie theater, game room, internet lounge, basketball court, tennis court, state-of-the-art fitness center & sauna, market, deli, beach volleyball and more. HOA fee includes resort amenities & staff, cable, internet, phone, exterior care and trash removal. Paradise Palms Resort is zoned for short term rental, has a 24 hour manned security gated entrance and is just 10 minutes from Disney! This is a fantastic vacation home in one of Orlandos most popular resorts, do not miss out on this prime opportunity! Existing rentals can convey if you choose to stay with the current management company. Amenities Additional Fees $998.68 For Hoa/Quarter. $555.78 For Club Fees/Quarter. Listing provided courtesy of Hometown Realty Group Inc.